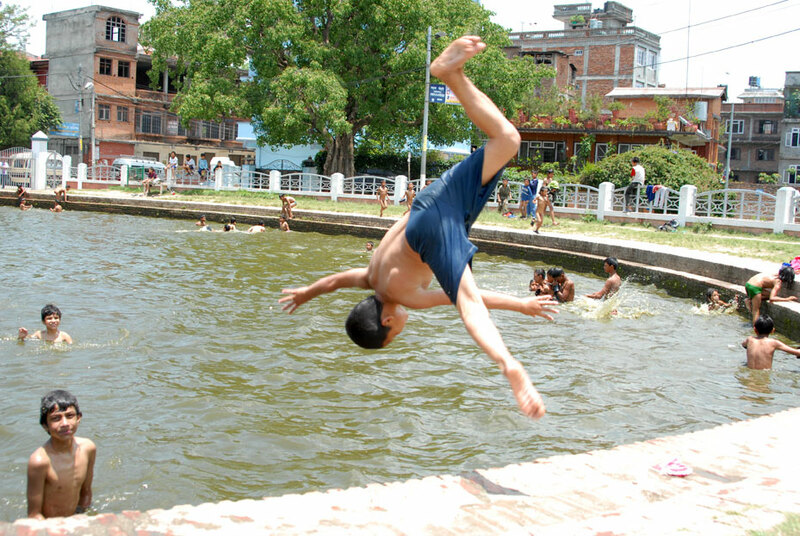 That historic day when Nepal is taking such a significant plunge into Federal Democratic Republic; these carefree children were quite engrossed in beating the heat by taking acrobatic dives into Gahana Pokhara at Maligaun. 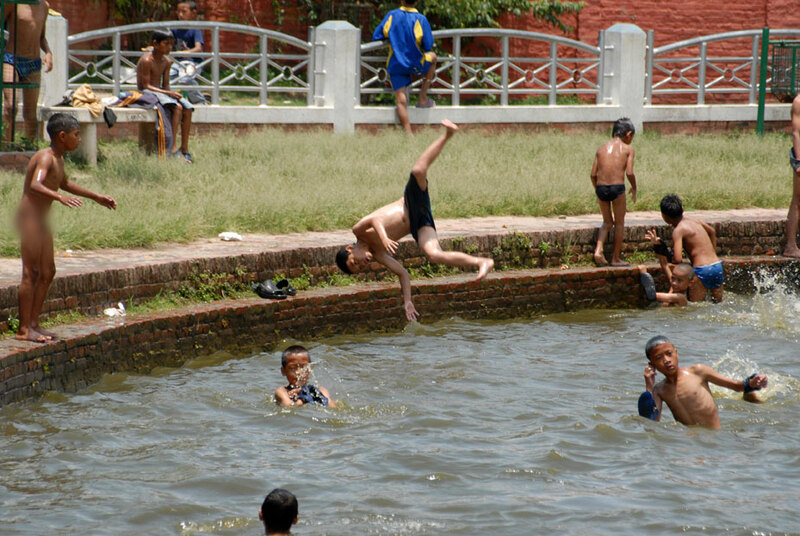 I took these pictures while I am going to photo document any movement around Narayanhiti Palace on 28 May 2008. 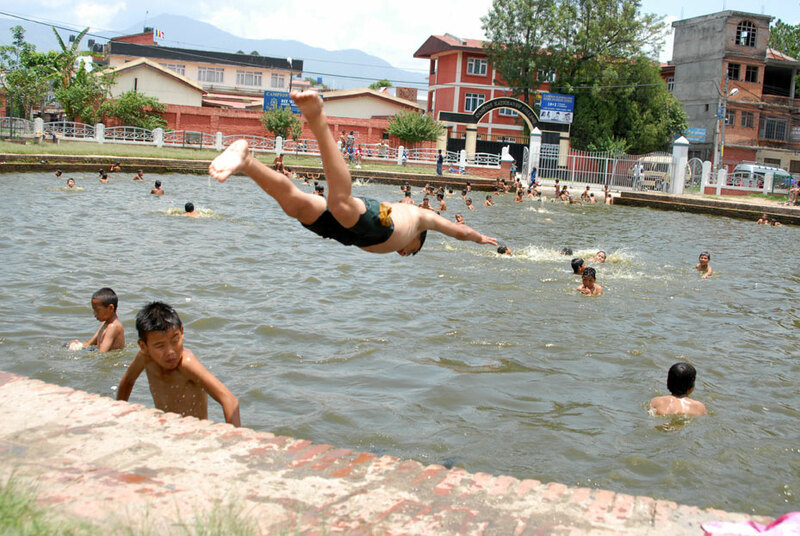 These merry children grabbed my attention and I stopped by for few minutes merging myself to their joy free swim.